Turtles and ducks and … rhinos? Oh my! Canton at the center of football history … again! WANTED: Manufacturing suppliers for today’s wind energy! Two days, two BLUES LEGENDS, too good to be true! Want to walk the runway at Ohio’s premier fashion event? KIMONO arrives in Canton this month! How does participation in Leadership Stark County BENEFIT MY BUSINESS? ‘Turning Japanese’? We really think so! 20 incredible leaders … all under 40! What can YOU expect from Leadership Stark County? Who’s WHO and who’s NEW in ystark! Leadership? ystark! CEO Meet&Eat Luncheon Series: High-flying leadership at CAK! Want the best seat in the house? Get Canton Blues Fest VIP Passes! Are your favorites the Best in Stark? IFAF Junior World Championships begin this month; get your tickets now! « Canton’s First Business Diversity Conference Coming Next Week! CANTON, OH (October 9, 2010) – Robert F. Belden will be recognized with the highest honor, the Award of Merit, at the upcoming Community Salute Awards. The award will be presented along with Awards of Appreciation on Wednesday, Nov. 10, at the Canton Regional Chamber’s Community Salute Awards dinner, held at The University Center at Kent State University at Stark. Tickets are available online for $50 at CantonChamber.org. Community Salute Award of Appreciation winners include: Goodwill Industries of Greater Cleveland and East Central Ohio, Stark County District Library and Dr. Adrienne O’Neill Ed.D. and the Stark Education Partnership. Belden will receive the Award of Merit for continuous civic activity going beyond his business and professional responsibilities at The Belden Brick Company. Belden exceeds the immense demands of his professional responsibilities by generously contributing time, expertise and leadership to assist the Stark County community. Currently president and CEO of The Belden Brick Company, Belden is a native of Canton and a graduate of Central Catholic High School. He received his bachelor’s in mathematics from the University of Notre Dame and an MBA in operations research/management science from the University of Michigan Graduate School of Business. In 1969, the Dallas Cowboys of the National Football League drafted Belden in the 12th round and he spent the 1969 and 1970 football seasons as backup quarterback for the Cowboys. After retiring from the Cowboys and spending several years working for the 3M Company in various positions and later on the Chicago Board Options Exchange, Belden returned to Stark County as the fourth generation of the Belden family to manage The Belden Brick Company, first as its vice president, marketing, and as president and CEO since 2008. Belden continues to give back to his community through a long list of volunteer and board affiliations, including the American Red Cross, Junior Achievement of Stark County, Canton Central Catholic High School Advisory Board, Canton Central Catholic High School Education Foundation Board, Walsh University, Canton Student Loan Foundation, CSA Health System, Notre Dame Alumni Club of Canton, Philomatheon Society, the Stark Community Foundation, the William McKinley Presidential Library and Museum, Sisters of Charity Foundation of Canton and the Stark County Historical Society. In addition, Belden serves on the boards of the Ohio Legacy Corporation and Premier Bank & Trust, Ohio Metal Working Products Company, the Brick Industry Association, and the Brick Institute of America. 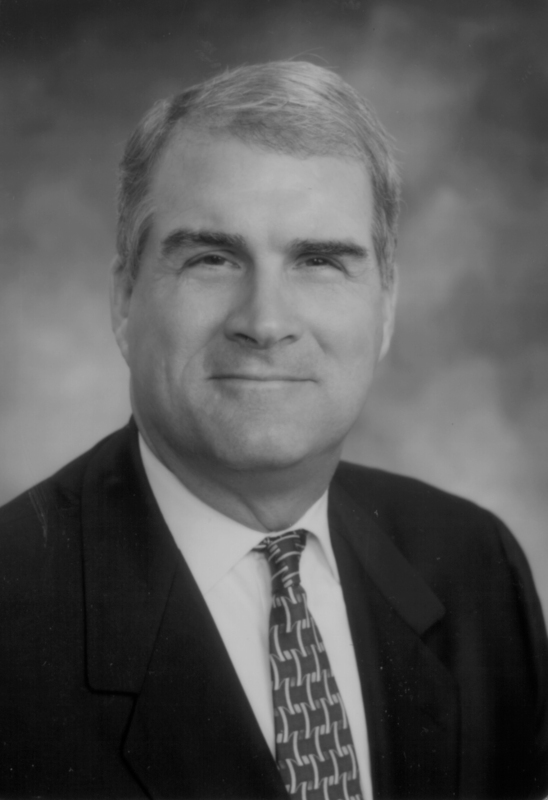 Belden served on the Canton Regional Chamber board executive committee and was board chairman in 2003. In 2007, Belden served as general chairman of the Pro Football Hall of Fame Enshrinement Festival, and in 2009 served as president of the USA Committee for the IFAF Junior World Championships held in Canton. In 2009, Belden was inducted in to the Stark County High School Football Hall of Fame. Goodwill Industries of Greater Cleveland and East Central Ohio will receive the Award of Appreciation for enhancing the welfare of Stark County citizens through outstanding success in service. Goodwill’s award comes as result of its collaborative efforts with many community organizations and for its larger efforts on the behalf of the individuals in Stark County. Goodwill’s mission is to improve the quality of life and employment opportunities for all people and especially when our community is faced with shrinking resources and increasing demand for services. More than 17,000 individuals utilize the agency’s various programs annually, with 75 percent of those individuals residing in Stark County. Goodwill’s program offerings range from employment and training programs, to unique programs like ComputersAgain, Parenting Skills Training, programming for individuals who have developmental disabilities, speech and hearing therapy, The Center for Entrepreneurial Success and more. Helping people is Goodwill’s mission, but it is the spirit of collaboration that benefits the community as a whole. This spirit is best demonstrated by the organization’s creation of The Community Campus at Goodwill, a shared-space “one stop shopping” concept that currently houses 18 nonprofit entities to meet a multitude of human service needs. The Community Campus offers fellow non-profits space at an affordable rate, backroom services and the opportunity to lower administrative overhead, for an estimated annual operational savings of $33,000 through the sharing of space, resources and utilities. The Community Campus concept that has gained local, regional and national attention for Stark County, as well as offering us a solution for our community during a time of increased demand for services and shrinking resources. Stark County District Library will receive the Award of Appreciation for enhancing the welfare of Stark County citizens through outstanding success in service. The Stark County District Library provides award-winning services to the entire Stark County community through programs, materials and online access at all 10 library locations throughout the region. Individuals use the library’s online access to apply for jobs and use materials to prepare resumes and other career seeking documents. In addition, they attend computer courses to enhance their skills in order to become more employable. The library also serves the very young, providing story times and other early literacy activities that help children enter school ready to read. It also serves teen mothers who are learning along with their children, which helps to make them better, more responsible parents. Library Kidmobiles provide services to 96 preschools and kindergartens, including library materials for teachers. Bookmobiles serve 26 area schools for grades one through eight, as well as sheltered workshops. SCDL has programs that serve homebound customers with door-to-door delivery of library materials, and programmers provide programs and library collections to area nursing homes and senior centers. The Summer Reading Clubs help students maintain their reading skills over the long summer vacation with more than 5,000 participating in 2010 alone. The organization has received a 5-star rating from Library Journal – its highest honor – for the past two years. This year, SCDL was included among the Best 100 Libraries in the Nation by Hennen’s American Public Rating and is a National Medal Winner of the Institute for Museum and Library Services. Dr. Adrienne O’Neill Ed.D. and the Stark Education Partnership will receive an Award of Appreciation for outstanding performance in her profession, which ultimately benefits the community. Since 2001, Dr. O’Neill has served as president of the Stark Education Partnership. She led the process to institute Ohio’s first “P-16 Compact,” a seamless preschool through college education system. School districts, colleges, businesses, foundations and human service organizations have joined together to work toward graduating all high school students and for 80 percent of those graduates to enroll in postsecondary education. Through the collaborative leadership network of the P-16, Dr. O’Neill’s work affects the 5,000 high school students who graduate from Stark County high schools each year and the 42,000 adults in Stark County who haven’t completed college. Since the compact began, 15 of the county’s 17 school districts have exceeded the statewide standard of 90 percent graduation, and dual high school college credit has expanded to virtually all the districts, with a total enrollment of 62,000. A statewide P-16 model has been created to bring the project to scale. Dr. O’Neill came to the organization from Canton City Schools, where she served as the chief education officer for the district and for the Timken Regional Campus project. 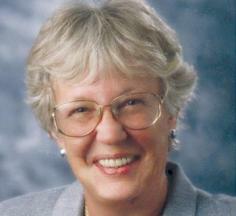 Formerly, she served as president for the Academy of Business College in Phoenix, Ariz., and established the Academy of Technology High School. She has written numerous articles, made many presentations at national conventions and is the co-author of three books. She received her bachelor’s degree and master’s degree from Syracuse University and her Ed. D. from the State University of New York at Albany. Among her many awards are the 2008 Purpose Prize Fellows by Civic Venture, a $9 million program for people over 60 years old who are taking on society’s biggest challenges. Dr. O’Neill is the fourth Ohioan to be recognized with this prestigious honor. Dr. O’Neill was named a fellow for her innovation in recognizing that the education gap could not be closed by one single institution or leader, but required collaborative leadership networks. The Stark Education Partnership involves Stark County districts, higher education institutions and the community, representing more than 100,000 students, in studying issues and making changes. The organization helps broker the resources and create the collaborations necessary to build the capacity to institute change that will make Stark County institutions the finest in the nation. To date, the Partnership has secured, brokered or collaborated in nearly $70M in federal, state and local funds to achieve this goal. Our generous sponsors to date include Mercy Medical Center, The Belden Brick Company, Stark State College, Aultman Health Foundation, Walsh University and The Repository. This entry was written by chambernews, posted on October 9, 2010 at 11:21 am, filed under Chamber Events, Chamber News and tagged Community Salute Awards, Dr. Adrienne O'Neill, Goodwill Industries of Greater Cleveland & East Central Ohio, Robert F. Belden, Stark County District Library, Stark Education Partnership. Bookmark the permalink. Follow any comments here with the RSS feed for this post. Both comments and trackbacks are currently closed. Blog at WordPress.com. | Theme: Sandbox 1.1.